Chopped romaine heart tossed with parmesan cheese, grated hard boiled egg and homemade croûtons in our classic Caesar dressing. House greens topped with shrimp, hard boiled eggs, cukes, tomatoes, bacon, crab meat, avocado and Bleu Cheese. Fresh watermelon cubes tossed with arugula, feta cheese, cherry tomatoes, black olives and toasted almonds, served with orange vinaigrette. Served with bacon, tomato, bleu cheese dressing and crumbled bleu cheese. Mixture of cheeses, spices and lots of crab. Flash fried with banana peppers tossed with parmesan cheese, served with spicy dipping sauce. Made with applewood smoked bacon. The world's best! 1 doz. Steamed with garlic, shallots, white wine and thyme served with french bread. Steamed with garlic, shallots, white wine and thyme served with french bread. Hot and cooked to order. Spicy w/ peanut undertones, finished on grill - delish! House made white mac 'n cheese with shrimp, crab and lobster. All Sandwiches come with French Fries or Sweet Potato Fries. Fried soft shell crab and BLT made with Applewood smoked bacon - some kind of good. Served on a potato roll. Soft shell and crabcake combined with a BLT made with applewood smoked bacon. Served on a potato roll. Grilled chicken topped with jumbo lump crab with cheddar & bacon. It's a shore thing! House blend 8 oz. burger served on brioche roll with lettuce & tomato. Baseball size cake (6 oz.) with lettuce and tomato. Jumbo lump sautéed with a hint of spice and fresh herbs. Jumbo lump folded into a classic recipe and baked to perfection. 8 oz. CAB center cut. Chopped Romaine heart tossed w/ Parmesan cheese, grated hard boiled egg and homemade croutons in our classic Caesar dressing. Fresh watermelon cubes tossed w/ arugula, feta cheese, cherry tomatoes, black olives and toasted almonds, served with orange vinaigrette. Served w/ bacon, tomato, blue cheese dressing and crumbled blue cheese. MIxture of cheeses, spice and lots crab. Served in a bread bowl. 1 dozen Steamed with garlic, shallots, white win and thyme served with French bread. 1 lb. P.E.I. Steamed with garlic, shallots, white wine and thyme served with French bread. A combination of Old Bay and honey, a perfect marinade, served w/ carrots and celery. House blend 8 ounce burger served on brioche roll with lettuce & tomato. Baseball Size Cake (6 ounce) with lettuce and tomato. Jumbo lump sauteed w/ a hint of spice and fresh herbs. A crabcake and our award winning ribs. 2 piece chicken and our award winning ribs. Bowl of vegetable crab soup, 4 regular steamed crabs, choice of dessert. 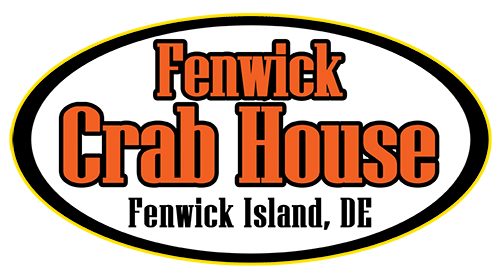 TWO pounds of Alaskan Snow Crab Legs, half pound of steamed shrimp, 4 regular steamed crabs, 2 pc fried chicken and corn on the cob. Ask your server about today's special. Our specialty is crab cakes shipped fresh overnight. A 7 oz. tail stuffed with a 4 oz. crab cake.